Block Cement industry business in Nigeria is a very profitable venture because of the current rate of urbanization in Nigeria, there is a huge population shift from rural areas to the urban areas and this means more houses, offices, companies, factories etc. Building and construction sector in the country over the last ten years as undergone a very strong growth rates, the demand for cement blocks has increased as a result of the demand for it in the housing and construction industry due to the rate of urbanization in the country. There are lots of qualities the owner of this business should have if he must succeed in this line of business. He must have patience and create time for the business first, then must also have a good networking relationship with corporate and individual customers. Must know all that is required to run the business so as to maximize profit. To be a successful block cement industry you need to manufacture concrete blocks with the best quality cement, once you have good quality cement you make it very easy for your customers to refer people to you. Recruit workers that are skillful. You must not own the land, you can rent a land for the business, make sure there is a water source close by or better still dig a well, water is very important in this business. You need a water pumping machine its like a small generator, it brings water from your source. You need pallets where your blocks stay to dry when they have been moulded. 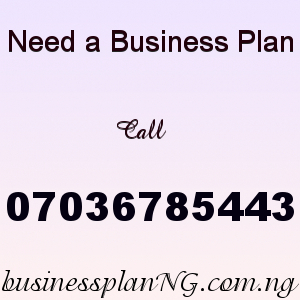 This business is very capital intensive and that is why its very advisable to get Block industry Business Plan to help you plan very well. Also if you do not have any skill or knowledge you will need training so you can have basic knowledge about the business. There are lots of factors that affects this business, like in the rainy season, production slows down, also when the cost of bag of cement rises customers are unable to buy. The labourer and machine operator are paid per block. To be successful in this business you need to conduct a proper market survey, the reason for the market survey is to equip you with all that you need to know about the business. How to start up, the right equipment to use, the cost of recruiting skillful workers and the umber yo can recruit for a start etc. Location is a very crucial aspect of the business, you need a place that is easily accessible. After payment text your name, your e-mail address and bank teller number to 07036785443 and you’ll receive your CEMENT BLOCK INDUSTRY BUSINESS PLAN IN NIGERIA / FEASIBILITY STUDY.